Trane offers a quality lineup of central air conditioners with differing efficiency ranges to meet the cooling needs of their diverse customer base. The Trane High Efficiency XR13 offers good efficiency and comes at a very affordable price point, making it an excellent choice where high efficiency isn’t as vital because the weather isn’t as hot. That’s the gist of this HVAC prices letter from Eli in Racine, Wisconsin. He passes along the Trane High Efficiency XR13 central air conditioner price and the specifications the unit offers. “We don’t run our air conditioner a whole lot but it’s still nice to have when the weather gets hot and muggy here in July or August. We have small bungalow in town and the furnace finally quit at 22 years old. The central air conditioner was only about 12 years old since we had used a window a/c up to that point. We thought about just replacing the furnace and keeping the a/c but the three contractors we got quotes from all thought it made more sense to replace the whole thing. Their reasoning was that a new central air unit would be more efficient and replacing everything at once would ensure that the system was designed to be used together and would run better. So we decided to do the whole kit and caboodle. Up to 14.0 SEER efficiency. ClimaTuff Compressor is quiet and efficient. Spine Fin outdoor coil dissipates heat better. Full-side panels protect the system and provide good air flow. DuraTuff base pan is rust-proof. Heavy-gauge steel cabinet is coated with baked-on powder paint. Sound insulator blanket for compressor on some models (don’t know if mine has it or not). Some models with R22 refrigerant and some with R-410A. Sizes up to 5 ton. The cost of installation can seem high, no doubt. It might help to keep in mind the labor costs, tools, insurance, trucks, shops and other expenses contractors face. If that doesn’t make you feel any better, at least know that quality installation is the best way to ensure top performance and the greatest longevity from your system. Those that have been improperly installed run less efficiently and break down more often. Cutting corners on quality installation can cost money in the long run. 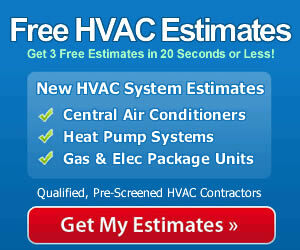 Hire a qualified contractor and you’ll get the best long-term results from your system.